Adult Sunday School meets during the school year from 11:15 a.m. – 12 noon after the Sunday morning service in the Children’s Worship Room on the main level. Friendship group includes singing, Bible study, and activities for people with physical and mental impairments. Friendship meets at 7:00 p.m. every Tuesday in the fall and again in the spring. Learn more about Friendship Ministries at www.friendship.org. 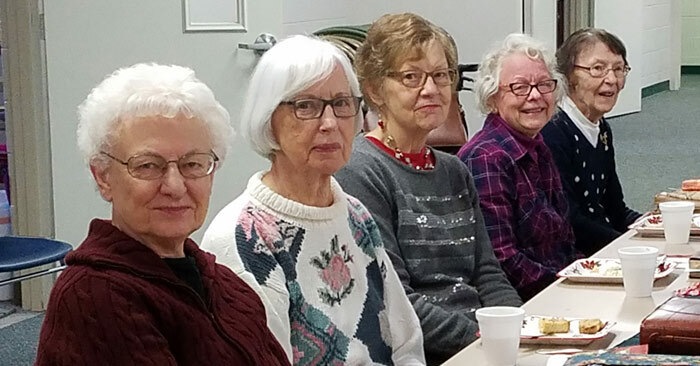 Women’s Bible Study meets at 9:30 a.m. on the second and fourth Tuesday of the month in the lower level of the church. Women of Worth meets every other Wednesday from 6:30 pm-8:00 pm. This is a fellowship and study group for women of all ages that will be studying the Psalms. See Monthly Calendar for specific dates. The Men’s Fellowship meets on the second and fourth Wednesday of the month at 7:30 a.m. at Russ’ Restaurant on Plainfield Avenue for breakfast and Bible study. A Bible study for the men of Blythefield and their friends and neighbors. Men’s Life will meet every other Wednesday evening from 6:45 pm-8:00 pm.